Thanksgiving seems like an obvious thing to write about in October because of the holiday and other reasons. For farmers and gardeners fall can be a stressful time. My dad, a grain farmer, always had one eye on the sky, especially as harvest approached. Mom, listening to the weather forecast and paying attention to her arthritis, developed great instincts for when to cover the tomatoes and cucumbers to protect them from frost. What a relief and time for thanksgiving when all was gathered in! Seasonal issues aside, gratitude (“the quality of being thankful, the readiness to show appreciation and return kindness” – Oxford Dictionary) is always a good thing. And it has many angles. We could ponder who is getting our thanks? The official thanksgiving celebration began when America’s pioneers paused to thank God for food, protection, health, survival etc. We could ask, what is thanksgiving? One aspect of it surely is paying attention so that we see the many good things—from the fresh smell of rain to the tinkle of a baby’s giggle— that litter our pathway. It’s also expressing our gratitude. 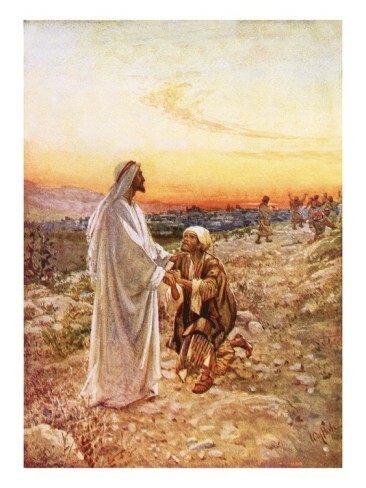 The story of the one leper who returned to thank Jesus after he was healed comes to mind (Luke 17:11-19). So does the story of the widow who made a room in her her house for the traveling prophet. Later when her son died, Elisha willingly came to pray for him (2 Kings 4:8-37). We can contrast thankfulness with what it isn’t. A sense of entitlement surely inhibits thankfulness. Henry Ward Beecher expressed it well: “Pride slays thanksgiving. … A proud man is seldom a grateful man for he never thinks he gets as much as he deserves” – (quoted by Ann Voskamp in One Thousand Gifts, p. 177). We can see that it’s possible to look at all of life through gratitude-tinted glasses. Cultivating an attitude of thanksgiving is the point of Ann Voskamp’s popular book One Thousand Gifts. In it she writes: “In memory, the shape of God’s yesterday-heart emerges and assures us of God’s now-heart and reassures of His sure beat tomorrow … it is thanksgiving that shapes a theology of trust” p. 152. This month I invite you to write about gratitude / thanksgiving. Perhaps you will write a story of someone who wasn’t thankful. Perhaps your writing will tell of a kindness for which someone (you?) gave thanks in a unique way. Perhaps you will write a poem that lists the many and diverse things for which you are grateful. Whatever shape your writing takes, I hope the time you spend counting your blessings will be yet another item of thanksgiving to add to your list. I love the idea of writing a list poem of the many things I’m grateful for… that’s an exercise we can’t possibly do too often. Thanks Tracy! I love it that you have Minnesota farm memories! I actually love the date of the Canadian Thanksgiving. It’s just far enough away from Christmas to feast and not feel overindulgent, and is still in the middle of fall’s changes. I have good memories of Thanksgiving celebrations at our little Mennonite church in Saskatchewan. Some artsy farm women always put together a lavish harvest display at the front, and we had a big communal meal with lots of good stuff, topped off with pie — apple, pumpkin, lemon meringue. I think part of the reason I enjoyed it so much, too, was feeling my dad’s relief that the crop was in, if it was. Sometimes with an early snow, it wasn’t. But we celebrated anyway. Gave thanks in faith, I guess. off the topic: I’m doing a series connecting table/food/thanksgiving & blessing/community & blogging (my community of bloggers) — do you have a post or a poem I could share that is food-related? If you do, would you please email me the link sometime in the next couple of weeks– tracyleekarner (at) gmail (dot) com. I’ll be telling people a little bit about how we met, about your blog (the one you’re sharing from), and linking to you in my post.